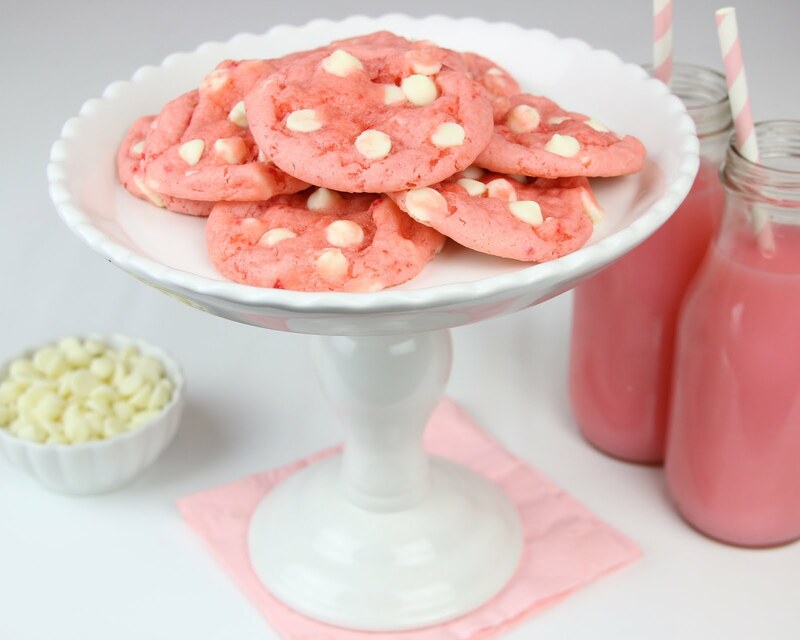 Sweet strawberry cookies with a hint of vanilla, studded with white chocolate chips. 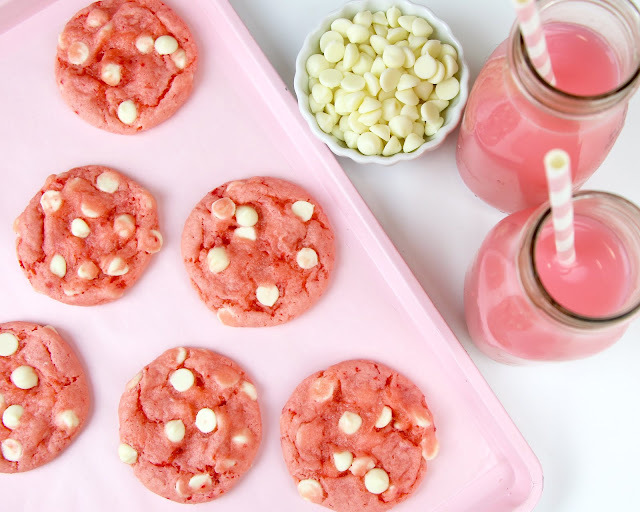 Like Strawberries and cream in cookie form! These soft, chewy cookies are so easy to make, using a box of strawberry cake mix and just 4 ingredients! 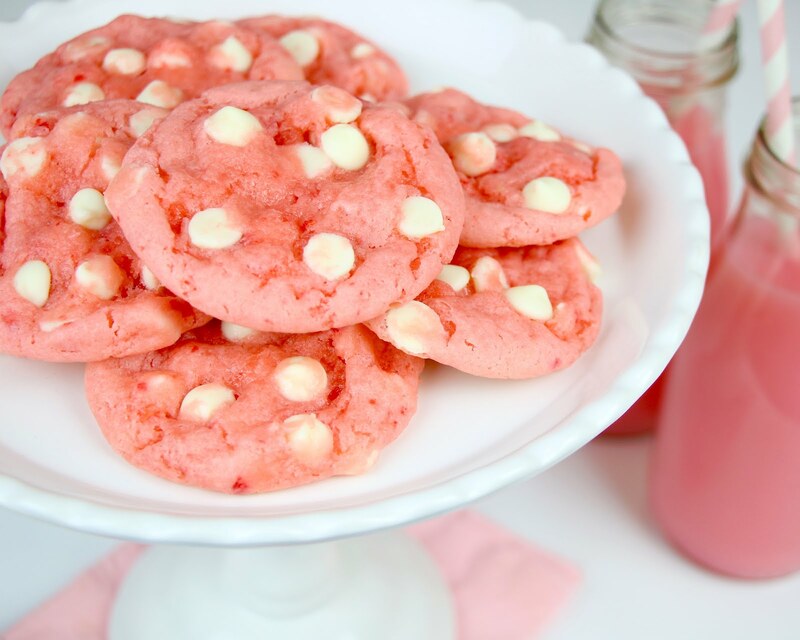 I love the combination of the white chocolate and strawberry, for a play on strawberries and cream, but you can get creative and use any flavor combo you like! I've also made these with semisweet chocolate chips and even sprinkles! 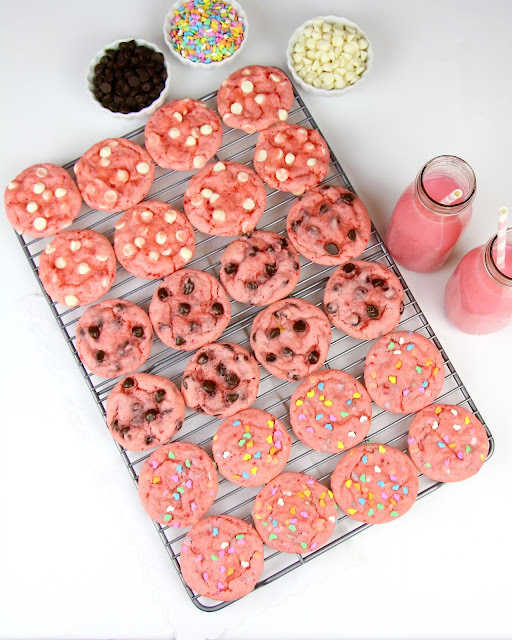 Even though these start with a cake mix, these cookies are not at all cakey. 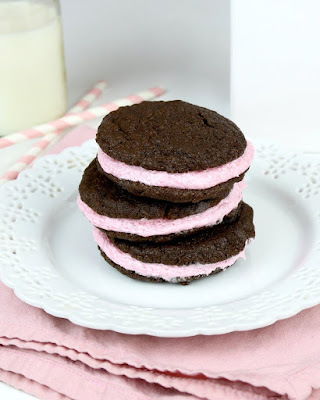 They come out perfect every single time, with ultra soft centers and a crispy edge. 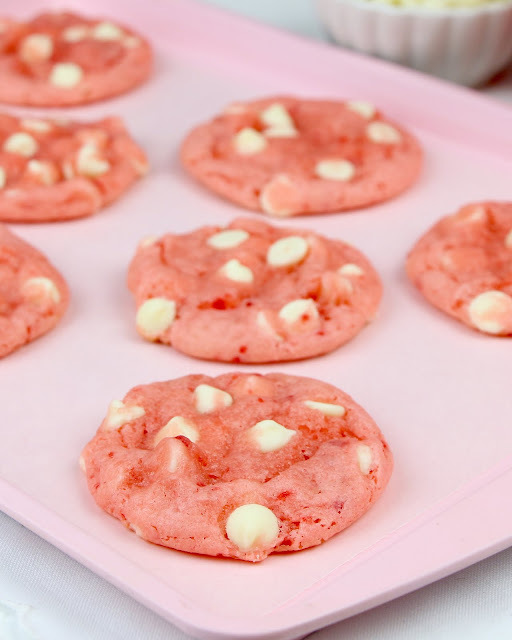 They have a chewy texture that you love from a cookie and are studded with melty, ooey, gooey white chocolate chips throughout, giving them the perfect flavor combo. The dough comes out a little oily and sticky, so I like to pop the dough balls in the fridge before baking, so they don't spread too much and the dough can firm up a bit. 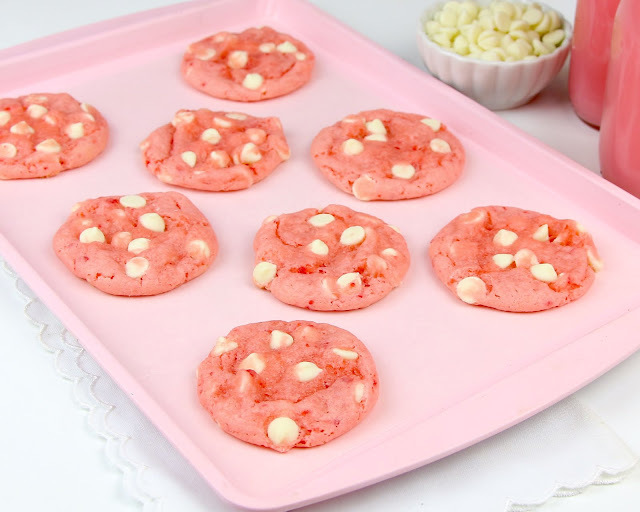 Then, once you bake them, they puff up into perfect, puffy little cookies, with the prettiest pink color, that looks so cute against the white chocolate. 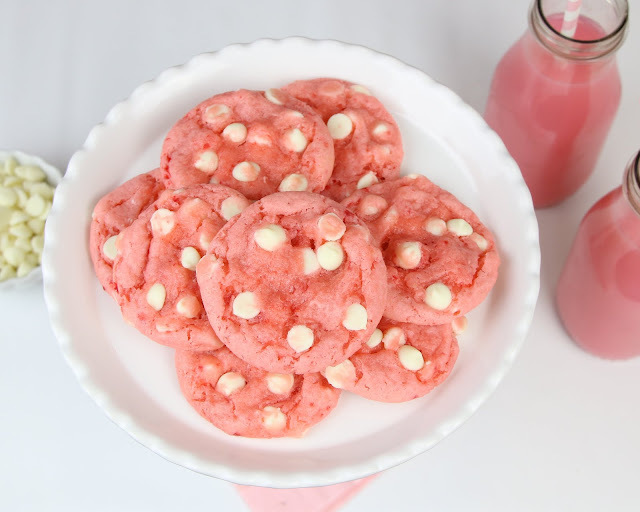 These are perfect for Valentine's Day, Easter, a baby shower, a Princess party, or a fun weekend treat that is quick and easy to whip together. 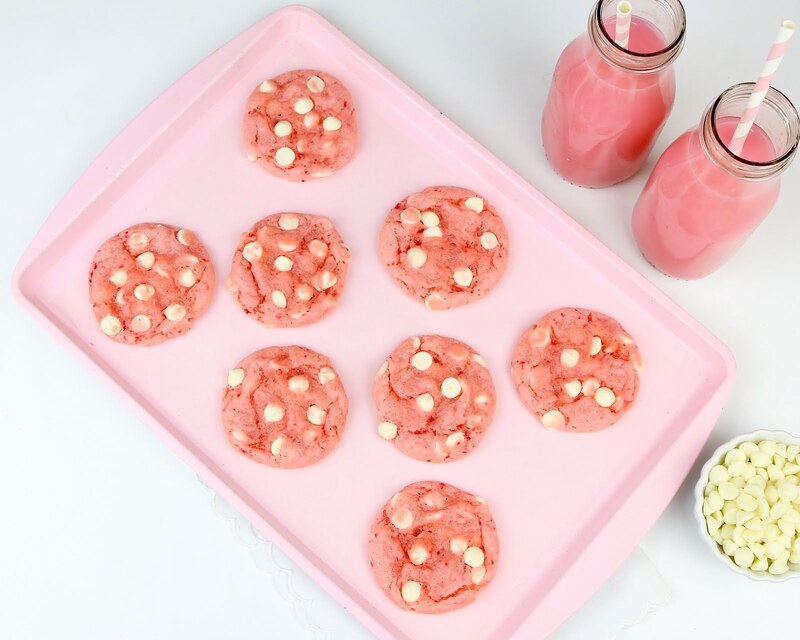 It's also great for baking with kids, because these cookies are almost impossible to mess up and you can customize them however you like! 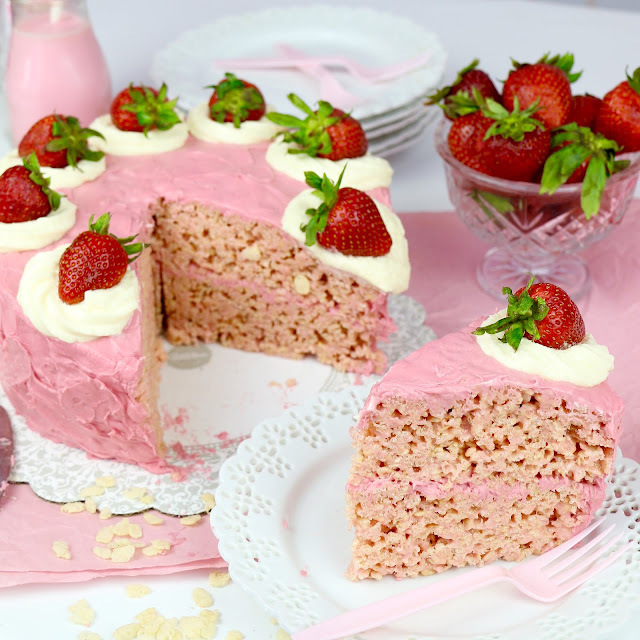 If you guys give this a try be sure to tag me in a picture on social media @lindsayannbakes, and let me know what kind of flavors you came up with.